The memory foam mattress is considered to be one of the healthiest choices for your body after a long day of work. As you may already know, these mattresses are made with temperature-sensitive foam that uses the heat coming for your body to adjust to your natural curves and total weight. A good memory foam mattress should be able to relieve body aches and pains by displacing pressure along your body’s length. 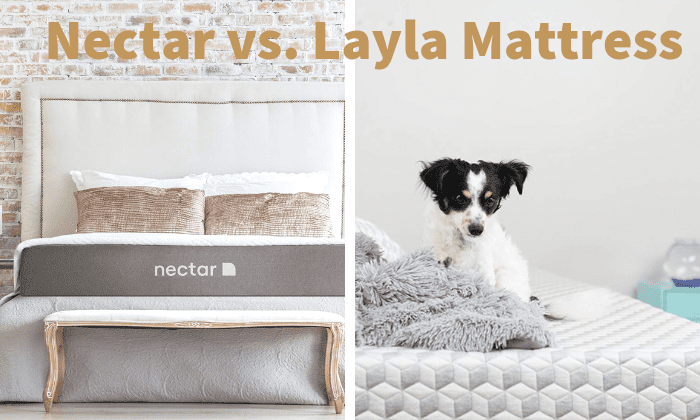 Memory foam is also known for its capacity to correct your body posture and provide good spinal alignment which, when left uncorrected, leads to several upper and lower … Continue reading Nectar vs. Layla Mattress: Get the Best Memory Foam Mattress!